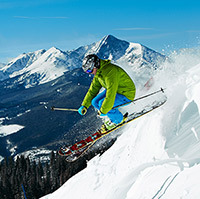 We are 100% committed to making your stay at Vail Mountain Lodging as enjoyable, as easy, and as memorable as possible. We have the privilege of managing some of the most desirable properties within Vail. Often costing less than a hotel room, vacation rentals afford guests significantly more space, personal amenities and privacy, while offering many of the benefits of a hotel.. Your check-in location is detailed in your confirmation email. You can also find the check-in locations for all our properties and hours of front desk operation detailed below. For late arrivals, please refer to the instruction in your confirmation email. For travel delays, please call the number listed below for your property. Can I ship my luggage or a box before I arrive and have you hold onto it? Travel light and ship your bulky skiwear to Vail ahead of you. We’ll keep it in secure storage and place it in your vacation residence on the day of your arrival. Please send package UPS or FedEx. Write reservation name and arrival date on all packages sent to our properties at the corresponding address.